Anna Roy of NITI Aayog and Sanjeev Sharma, MD, ABB India signing the SoI in the presence of Amitabh Kant, CEO of NITI Aayog and Dr Ulrich Spiesshofer, CEO of ABB. NITI Aayog and ABB India have signed a statement of intent (SoI) to support the Indian government realise its ambitious vision of Make In India through advanced manufacturing technologies that incorporate the latest developments in robotics and artificial intelligence, said a statement. NITI Aayog will work with ABB to prepare key sectors of the economy, such as the power and water utilities sector, industries like food as well as the heavy industries sector; and the transport (rail and metro) and infrastructure sectors for digitalization, the internet of things and artificial intelligence. The initiative also covers the fast-growing segment of electric mobility. Jointly, NITI Aayog and ABB will work with government ministries, solicit feedback for areas critical to them and discuss solutions using industrial automation, and digitalization technologies. “We are looking forward to learning more about practical applications of future technologies such as AI and IoT, especially in streamlining governance and economic systems. 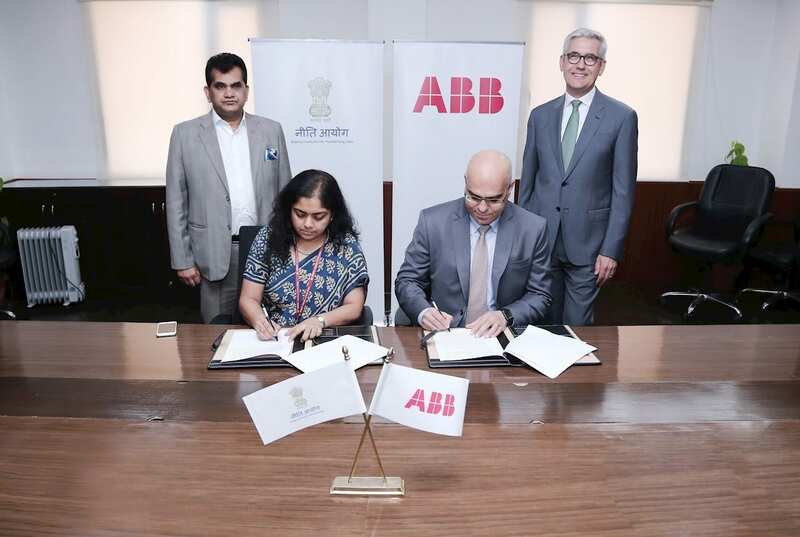 This collaboration, which will include a cross-sectoral understanding of digitalization at ABB’s world-class centers, will be key in driving progress of key sectors in India. This collaboration is meant to lead to actionable insights and focused plans that will help India become a center for advanced manufacturing,” said Amitabh Kant, CEO of NITI Aayog.